"I have been successfully making rain and breaking droughts for decades. Now you can see, with your own eyes, how it is done!" 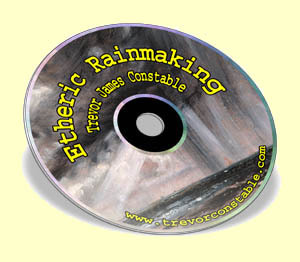 Trevor James Constable has devoted over 40 years of his life to the development of an environmentally clean, natural process to engineer the production of rain -- without spraying any chemicals into the air. This astonishing accomplishment was over and above his professional career, where he spent 26 years in the US Merchant Marine as a Radio Officer and co-authored 9 historic biographies of the best World War II Fighter Aces, establishing himself as an internationally respected aviation historian. All of the weather engineering research was funded privately by Trevor and his associates in the early years, and since 1989, with a great deal of assistance from Singapore Businessman George K. C. Wuu. This has allowed the technology to remain completely independent, and free from the distorting influences of "investment capital". Hello, my name is Trevor James Constable. I have spent the better part of the last 50 years studying the weather and what makes it behave the way it does. While Meteorologists catalog weather events AFTER they happen, I have been interested in discovering WHY they happen in the first place. After all, it is in the deeper study of "true causes" where the mysteries of life are revealed. For instance, have you ever seen rain fall from a clear sky? Have you ever noticed that a cloud that has rain falling from it is often GROWING in size? Have you ever seen lightning that was not followed by a clap of thunder? There are dozens of so called weather "anomalies" that are not well explained by modern Meteorology. Regardless of how unusual any weather event may be, there is a real reason for it and a real set of laws governing the appearance of that event. I believe I have discovered the real energy source that drives the weather, and with this new theoretical basis, have developed a comprehensive set of methods for modifying its appearance. I know all of this sounds pretty unbelievable, but if you stay with me here, I can prove every word I have said. The fact is, I have not only done these things, but I have documented these events with advanced notification to the National Oceanic and Atmospheric Administration (NOAA), as well as with photos, video, radar and eye witness accounts. Many of these events have also been reported on in a nationally distributed magazine. But none of this happened overnight. It took years of painstaking experimentation to develop both the equipment and the processes. Most of these "learning experiments" happened out in the Northeastern Pacific Ocean, out in international waters, when I was a Radio Officer on the Flagship of the Matson Lines, the SS Maui. On trek after trek between the port of Honolulu in Hawaii and Long Beach Harbor in Southern California, I tested dozens of different pieces of equipment from the forward deck, and documented the effects with film, video, and the ship's radar. At first, progress was slow. But every success lead to further refinements and better results later. By the mid-1980's, all of the fundamental procedures and effective equipment variations had been identified. Everything since that time has only represented refinements. I discovered that the energy that forces the weather to do what it does is, in fact, the illusive "ether" that all of modern science denies the existence of. That made it virtually impossible for me to get any academics to seriously look at the technology. Once that became obvious, I simply continued to develop the process without their approval, and adopted my life-long motto: "Only Results Count". All of the presentations of the weather, as we experience them, are actually secondary effects of processes in the underlying ether. My equipment is designed to interact with this etheric energy in the atmosphere and that allows me to modify its flow characteristics. All of the beneficial weather modification processes, which I outlined above, can be produced simply by either stirring, expanding or compressing the ether in the local area. Once the new ether conditions are established, the weather responds and changes accordingly. Under the right circumstances, this can happen quite rapidly. With my technology and processes, it is now established that the weather may be modified for the greater benefit of Humanity! Over the years, I produced a number of books and films that documented my work. During the late 1980's, I released a number of VHS videos showing rain engineering experiments filmed aboard the SS Maui. Fewer than 200 of these films ever sold in a small niche market. 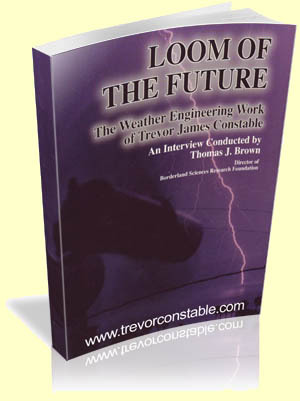 Then, in 1994, I released the 148 page book titled Loom of the Future, which documented the entire 40 year history of the development of these weather modification methods. 1000 copies were printed. It took two years to sell them and the book was never re-printed. Over the years, reports on various, successful operations appeared in different issues of Borderlands Magazine and were read by its limited number of subscribers. Since then, huge advances have occurred. I can now mount what appears to be an "empty tube" on a Helicopter, and produce significant rainfall with as little as a single, 30 minute flight. Films showing these processes were also produced in the late 1990's and sold in a limited release. So if you have never heard about this before, now you know why. The documentation has just never been widely available. But I'm getting older, the situation on this planet is getting more desperate, and I want YOU to know that there IS a solution available to tackle the problems presented by extreme weather conditions and Climate Change. Over the years, a lot of people have helped me with this. HERE IS WHAT THE PILOTS SAY! "I haven't the faintest idea of WHY rain happens in these operations. BUT IT HAPPENS!" 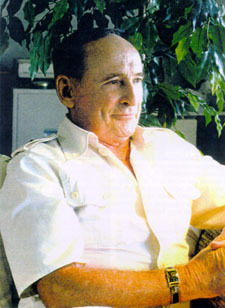 Colonel W.A. Schauer, USAF Ret. of airborne etheric rain engineering missions, Hawaii. "I NEVER THOUGHT IT WOULD WORK! I could not believe that it was possible for empty tubes to generate rain, with no chemicals to be dispersed in the air. But, in my experience, NEVER have I seen such violent weather appear, without any warning, from clear conditions. Lightning strikes on both sides of my aircraft further convinced me. These methods are very efficient and effective." engineering missions in S.E. Asia. "I have flown in tropical conditions in most of my career of more than 30 years as a commercial pilot. I know tropical weather, from extensive experience flying commercially in regions like Myanmar and Malaysia. I flew rain missions with some of this equipment in a Short Skyvan, out of Subang International in Kuala Lumpur. The effects were extraordinary. I hope to see this used in Myanmar, where bad droughts are frequent." "Definitely a practical, environmentally clean way of engineering rain, with an unlimited future." FAA-Licensed fixed wing and helicopter pilot. Malaysia and China, including history's first coordinated fixed wing and helicopter operations. So here is what I have decided to do. I've gone back through all of my documentation and pulled the best material out. Then, I had these books and films digitally re-mastered and prepared for release. Now, for the very first time, all of the finest material that documents my work is being made available on the Internet as a digital download. Heck, I didn't even know what a digital download was until last year! But when I saw a copy of my book, Loom of the Future, selling on Amazon.com for $150, I said to myself, "something has got to change." I don't want my work to be rare and obscure. I want everyone to know about it, and I want it to be affordable! With the UN reporting that over 900 million people lack access to clean drinking water,it is more important than ever to put these methods to use for the benefit of humanity. With all of the acedemics stonewalling progress, you can start by learning the truth! This is the quintessential document for anyone interested in modern methods of Weather Engineering. Originally released in 1994, this book presents the history and background of my pioneering work to access the atmospheric ether for rain production and smog reduction. The book uses an innovative format, combining an in-depth interview with an extensive photo album. It's intriguing dialog is punctuated with over 130 photographs, charts and radar images. Asking questions that you would like to ask me yourself, the editor Thomas J. Brown uncovers all of the developments and disappointments of a quarter century of work on the frontlines of discovery. This book will fill you with awe at the tremendous potential of a humanity capable of comprehending the purpose and function of the weather itself. THIS BOOK HAS NEVER BEEN RELEASED BEFORE! It includes many of the most advanced reports of the successful weather modification operations I have done. This includes the 27 page report on Operation Clincher where I smashed the regional smog levels in the Los Angeles basin in the summer of 1990. These methods could be used anywhere in the world where the air is unfit to breathe. Compiled and written by Thomas J. Brown, this is the most comprehensive report ever produced on this project, punctuated with photos, newspaper clippings, and official filing forms. 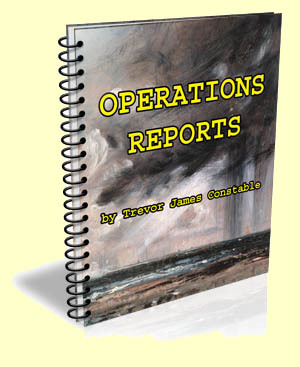 There is also my extensive report on Operation Pincer II in the summer of 1986 where I successfully broke a 100 year statistical record of "no rain in Los Angeles in the month of July". There are also chapters on Hurricane Control, the development of Airborne Operations, and much, much more. This book is loaded with detailed information and photos, and brings the story of the technology right up to the present. It's the perfect companion piece to Loom of the Future. This is an amazing, 65 minute film documenting some of my early rain making operations on the SS Maui. With the help of time-lapse video, you can watch as a clear day degrades rapidly into rain on the camera lens! I show you the rain on the horizon. I show you the equipment responsible. I show you the live radar images in the Pilot's Cabin. It took me two and a half decades of quiet pioneering work to produce the revolution in physics and technology shown in the scenes on this film. Seeing IS believing! THIS VIDEO HAS NEVER BEEN RELEASED BEFORE! This is my first film documenting Airborne Etheric Rain Engineering Operations. Here, I show you the simple method I use to produce rain, using a combination of my "empty tubes" that access the ether and a moving aircraft. The first operations were carried out on Oahu, in the Hawaiian Islands, in 1994. But I also show sequences filmed in operations in Malaysia in 1997. These operations produced spectacular downpours and proved the effectiveness of the method. These films were made during the "proving period", so they take you right to the beginning of the work. This film shows the "final fruit" of all the labor that went before. This is the last film I produced. In it I re-cap all of the work. I start with an introduction, discussing the early pioneers and discoverers of the relationship between the ether and the atmosphere. Then, I show film clips from the early ship-board work, all the way through the Airborne work in later years. This is a great "overview" film you can use to introduce your friends to my weather engineering methods. Includes a lengthy, on screen interview with pilot Bala Ratnam, now a veteran of over 20 rainmaking flights in Malaysia. So, that is the Package. It's the BEST OF THE BEST!!!! This package of books and films covers the entire 40 years of my work to develop a clean, environmentally safe method to moderate the weather for the benefit of Humanity. Three of the five items I am offering here have never been released before! Based on the individual prices, this package is easily worth $160, but I want you to have it all for much less. These are all included for free, you won't pay a penny for them! B1) Introduction to Primary Energy Weather Engineering - This is the very first film I produced. It's very similar to video #3 above, but it does have some different rain making clips on it from the days on the SS Maui. B2) Primary Energy Weather Engineering - Similar to Etheric Weather Engineering on the High Seas but with more shots of the horizon and less of the equipment. B3) Intro to Airborne Etheric Rain Engineering in Hawaii & Malaysia - This film is a slightly different edit of the material in video #4 above. But I thought you might like it as a bonus, too. B4) Invisible Realm - This is a lecture I gave at the Grenada Forum. It covers a broad set of topics about the ether and other forms of life that can be seem on film, but are invisible to the naked eye. My lecture includes NASA's own footage of the "Tether Incident", and much, much more.. SO, THAT IS THE COMPLETE PACKAGE. But I'm still digging through my files, so I'll also give you UNLIMITED ACCESS TO ANY FUTURE VIDEOS, BOOKS, ARTICLES, ETC... THAT ARE ADDED TO THE DOWNLOAD PAGE, INCLUDING EXTRA BONUSES THAT MAY BE ADDED AT ANY TIME. 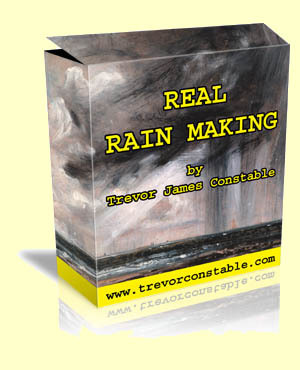 SO, HERE'S WHAT YOU GET..
Get your hands on a the Real Rain Making right now. You have 60 days to check out Real Rain Making -- risk free! Trevor, I'm ready to add this incredible collection of books and films to my library right now! I can start getting informed right away. 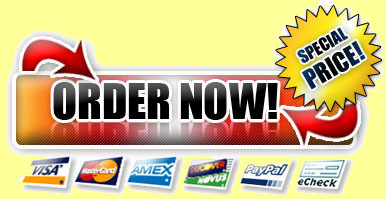 When I submit my request, I'll get immediate download access to my purchase. Your details will never be shared, period. Just like you, I dislike SPAM with a passion! Thanks for staying with me. I really do wish you, your children, and your children's children a bright future. Get the Real Rain Making package right now and drench yourself in it. Then decide if this isn't a truly spectacular addition to your library! P.P.S. 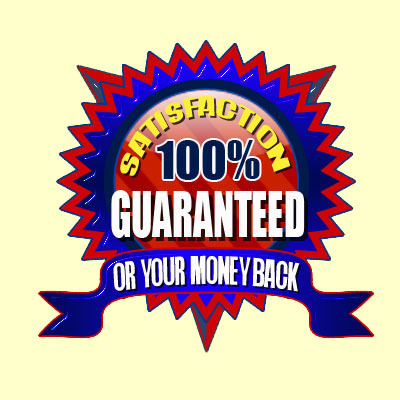 Remember you're not risking a single penny since it is 100% guaranteed!